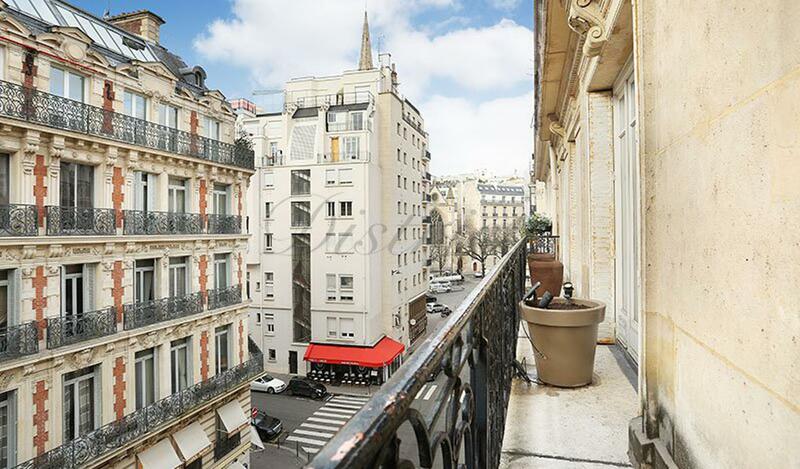 Prestigious Golden Triangle – A magnificent 230 sqm 4-bed apartment with balconies. This split-level apartment is on the top two floors of a secure period building with a lift. Offering about 230 sqm of air-conditioned living space, it includes an entrance hall with a guest toilet, a double living/reception room bathed in sunshine thanks to wide patio windows, a dining room, a spacious equipped kitchen (American-style fridge/freezer, wine cellar etc), a study and a laundry room. A glass staircase accesses a main bedroom with a bath/shower room and a walk-in closet, three further bedrooms, a bathroom, a shower room and two separate toilets. The apartment is beautifully furnished and in perfect condition.